The BFRS said that at approximately 7:09am today [Dec 15], they responded to a report of a boat fire in Riddell’s Bay, Southampton. 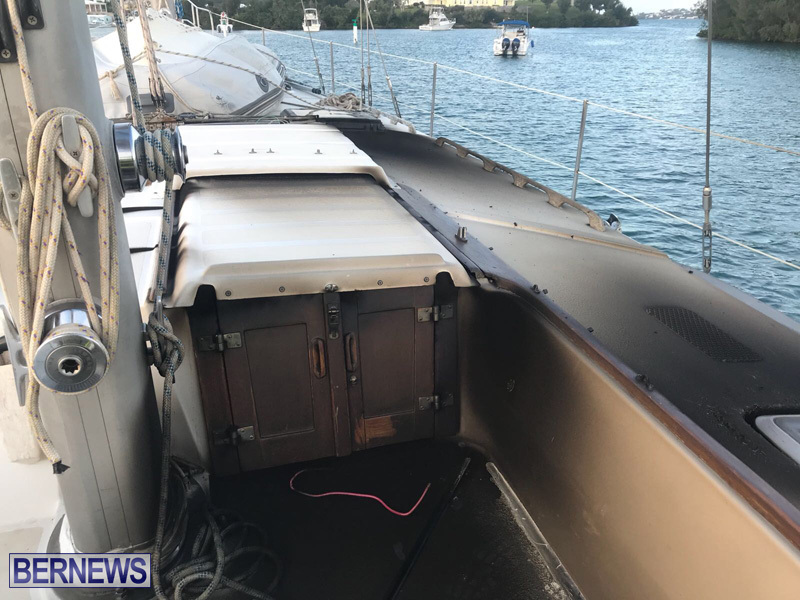 Fire Service spokesperson Sergeant Delton White said, “The boat was reported to have visible smoke emitting from its cabin. The Fire Service responded with one vehicle staffed with four firefighters. “On arrival, we found an approximately 50 foot plus sailboat with smoke smoldering from the cabin area. We were able to access the boat via the assistance of local boatman, Mr. Andrew Marshall, to whom we would like to express our thanks. Or was it just old battery wiring below deck. That’s a lot of Cassava there. The is an unfair comment . You can not say that based on your assumptions. Smh… How about some sympathy for the owner of the boat instead of being a jerk? Have you considered that this is a devastating blow to someone just before Christmas? I’m sure you’d feel differently if your house caught fire just before Christmas.